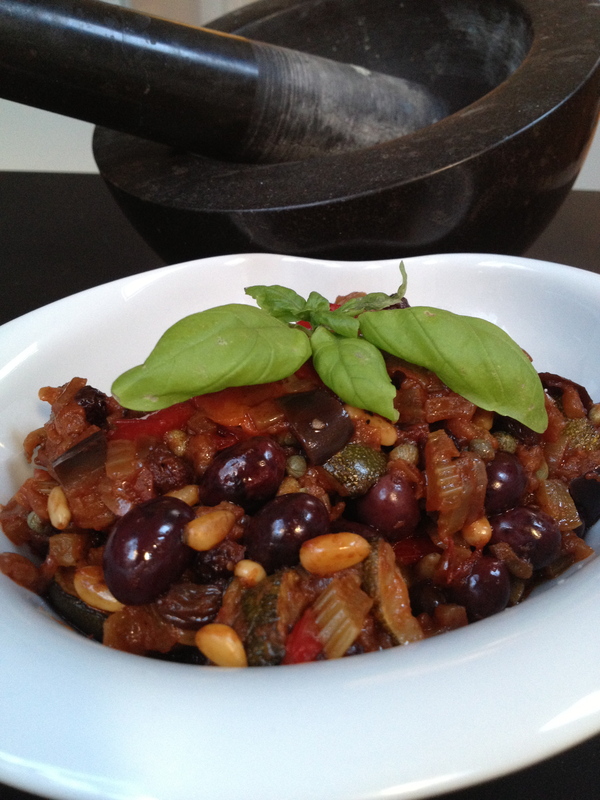 If there is one recipe which could be chosen to represent the sicilian soul in the kitchen, it would be the caponata. It has the hallmarks of a national dish: it gathers the best local ingredients, it is done by each family with endless variations and it was even written into Sicily’s best loved historic novel “Il Gattopardo” by Guiseppe Tomasi di Lampedusa. It is Sicily’s equivalent to ratatouille or chouchouka. 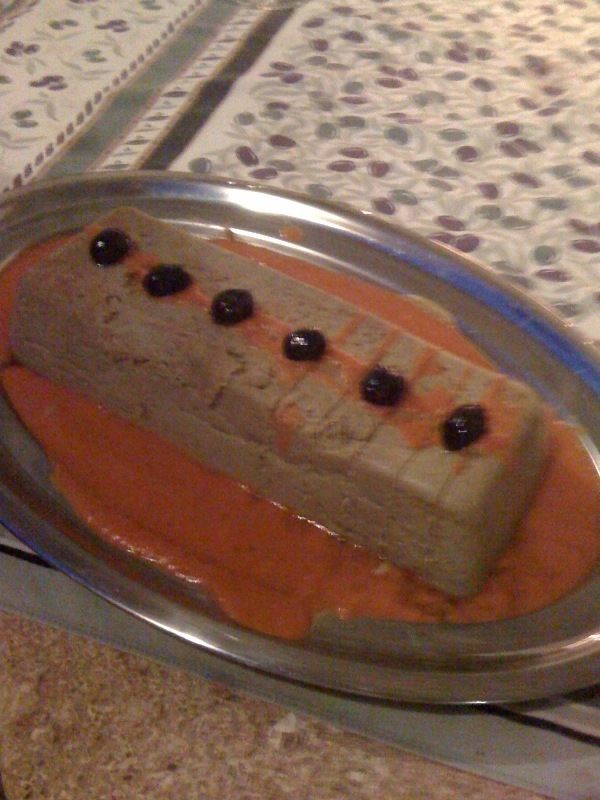 A great tasting sweet and sour dish, served chilled as starters with some bread. Massimo’s version had sugar but I can’t bring myself to use sugar in a savoury and sooo healthy dish- so I figured that the tomato sauce would provide enough sweetness to balance the sourness of the vinegar and it did! Coming back from our tour of Sicily with a wealth of flavours, recipes and memories of delicious meals, it was tricky to choose what to start with here on the blog but caponata seems the obvious choice . It is a real family dish, it is delicious – that could have been enough- but it is also foolproof and very easy to customise. The preparation is not quick though because each vegetable needs to be fried separately – but it is worth the effort and once done, it keeps well for a few days. Wash and chop the vegetables– trying to cube it all roughly in similar format. Sprinkle the aubergine cubes with fine salt, rub it all in with your hands, then soak in a bowl of water while you fry the rest. When you will need to add the aubergines, you will rinse them and squeeze them in your hands to release all their water and hopefully some of their bitterness. When all that is done, chop the onion and celery very finely and then fry in a new pan until they turn brown. Then had the capers, pine nuts and heat it up. Add the vinegar and let it steam off. Sprinkle a little salt, add a few glugs of Passata or some tomato paste with a bit of water. Then put back all of the fried vegetable and let it reduce further on medium heat. Add a little water or oil, or both, if necessary. Leave the caponata to cool aside and sprinkle with parsley just before serving. 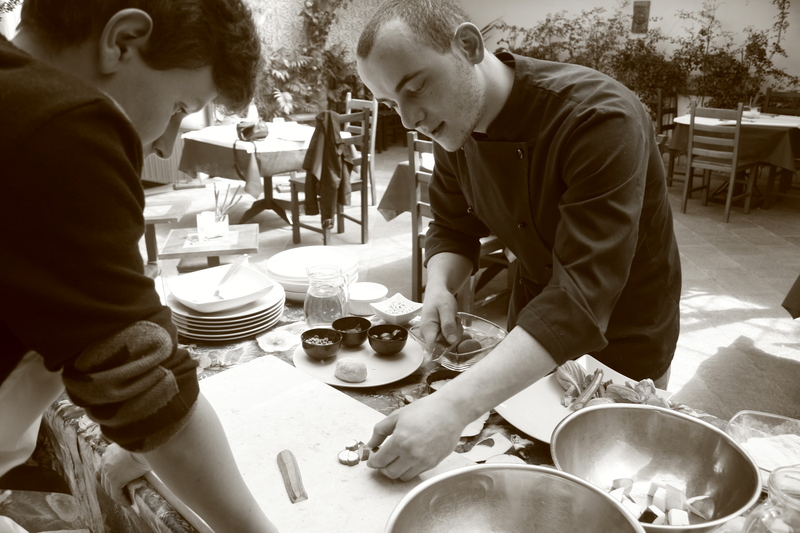 Note: There are plenty of cookery schools in Sicily and restaurants willing to provide cooking lessons. It is well worth it but do shop around. I booked mine through Best of Sicily. I ate this as a starter in a village bistro in Castillon du Gard and I HAD to make my version as soon as I got close to an oven! This is a creamy and tasty loaf, closer to a flan consistancy but baked in a cake pan for convenience. a hot oven for one hour. blender with one tbsp of salt, pepper and thyme combined. oil and mix with the aubergines in the blender. Pour the mix into a greased cake tin. Bake at 170 degrees for 1hour. my idea of a good deal!